Starting with the graphic on the CCM Revolution 599 Pro Senior Goalie Blocker, we have reengineered the iconic Koho 590 graphic and utilized contemporary styles to create a stunning look. 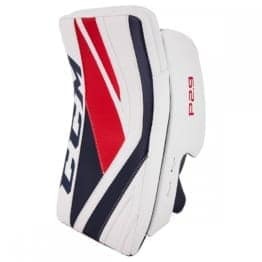 The Revolution 599 Pro is based off of the classic CCM style blocker, but has a few upgrades to further suit the needs of today’s butterfly goalie. On the face of the blocker, there is a large bindingless blocker surface designed to showcase the maximum amount of surface allowed. 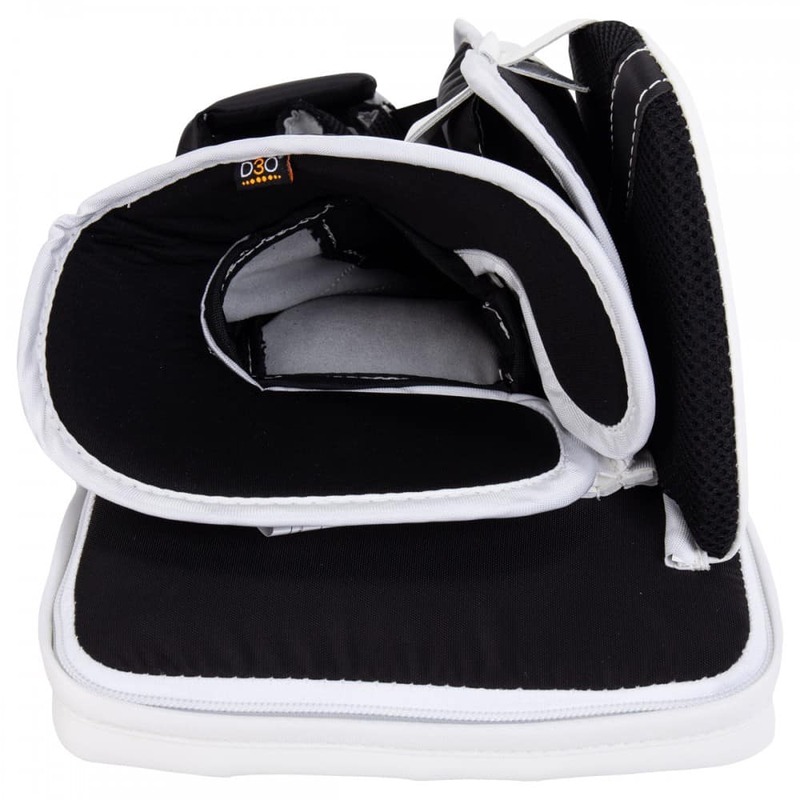 This bindingless design also helps reduce overall wear by removing the binding at the perimeter of the blocker. Through the wrist opening, the 599 Pro features CCM’s newest One Piece cuff design which allows for solid mobility and quick easy adjustments to create the proper tightness goalies might desire on their wrist. 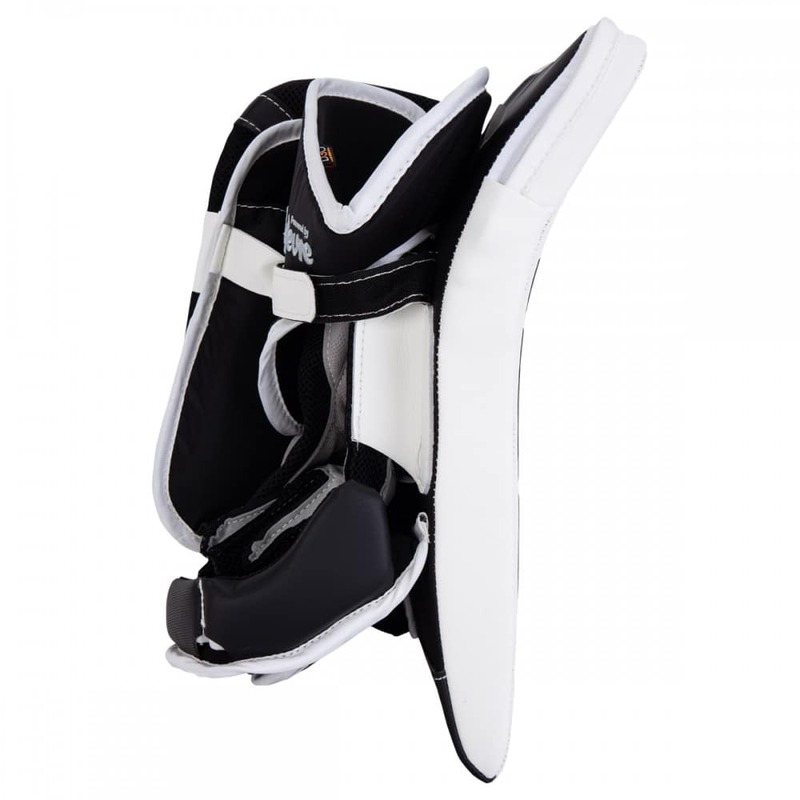 This one piece designs acts like a funnel where it fills negative space between the blocker and chest protector to keep the blocker stable on the hand. 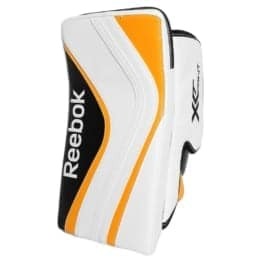 Another integral design in the 599 Pro blocker lies within the binding setup on the sidewall of the blocker. 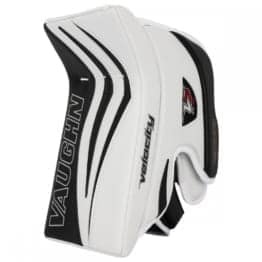 This features a true bindingless design not only on the face of the blocker but on the sidewall too. While this is a very clean look, it also improves the durability by removing the binding that used to stick out and get worn on the side of the stick. 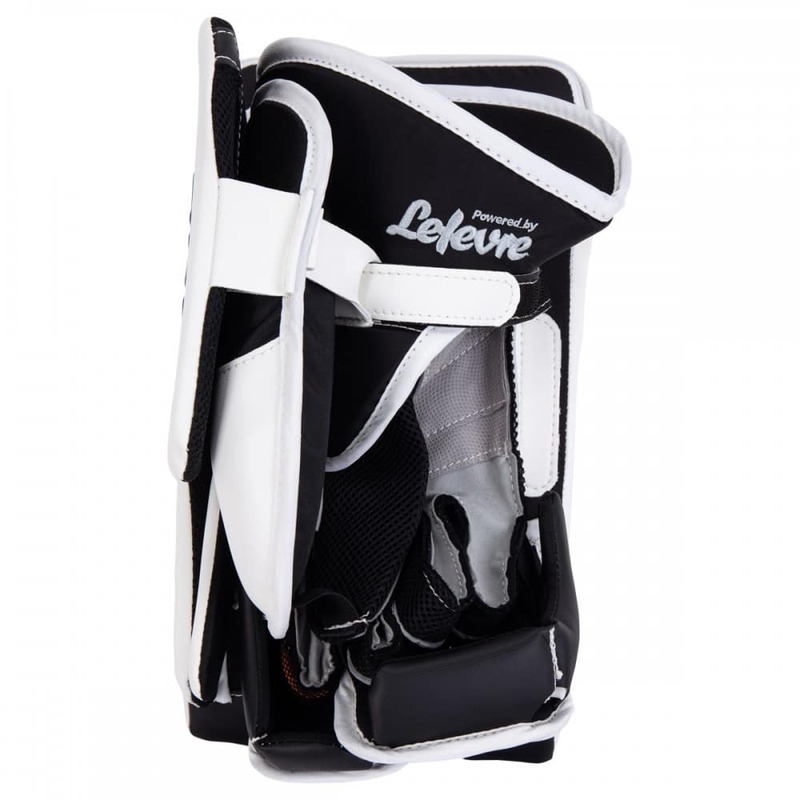 Building on the sidewall protection, there is a new lace in feature on the curved finger protection which yields a better closure when keeping the blocker tight to the body in the butterfly. 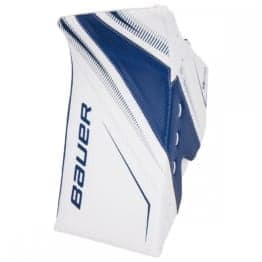 The board itself is made of thick heat laminated dual density HD foams with a centered hand design which gives the goalie a natural feel and balance on the wrist. This board is very thick and helps launch pucks into the corner when angled properly. Through the palm on the blocker is CCM’s suregrip material which has a slight tack to it, ultimately helping the goalie with the best grip on their stick throughout use. Last, you will see strategic D3O reinforcements in the index finger to help protect against any pucks riding up the paddle of the stick towards the fingers. 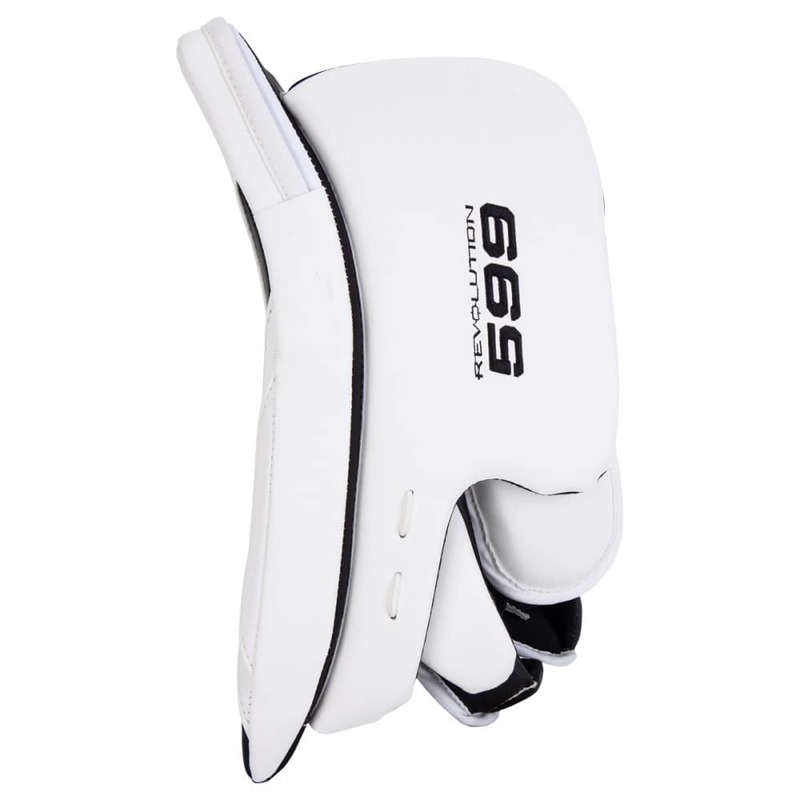 Compared to the 597 Senior blocker, the Revolution 599 Pro will feature higher quality construction with higher grade materials in both the outer materials and interior core. 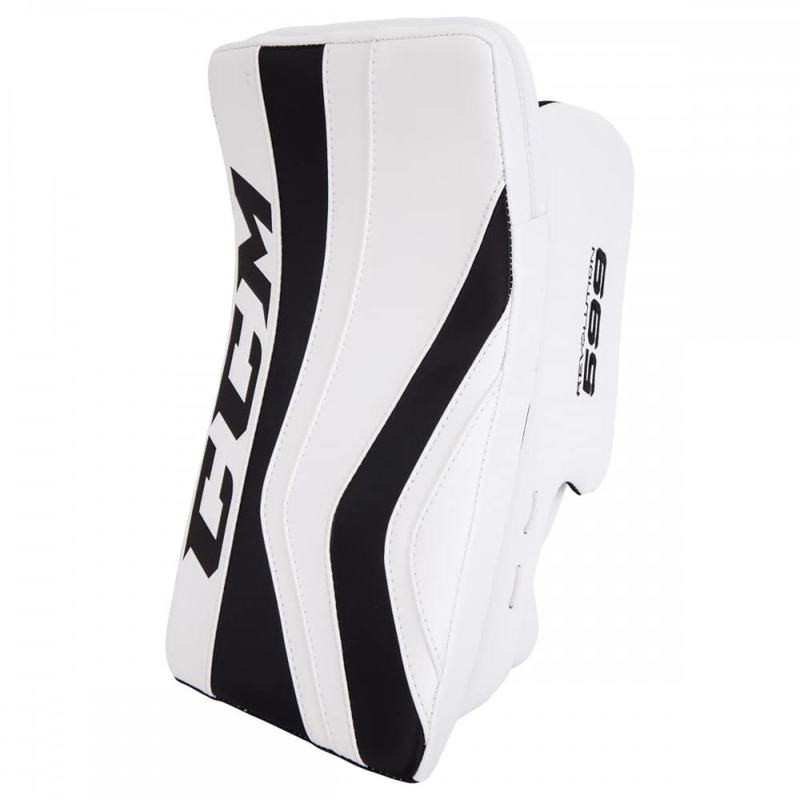 If you are an Elite-Level goalie who wants an iconic look wrapped over the most popular Premier II specs and blocker board, look no further than the CCM Revolution 599 Pro Senior Goalie Blocker.